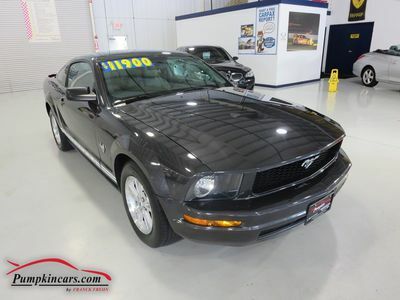 Pumpkin Fine Cars and Exotics: V6 MUSTANG NOW $11,490! CLEAN CARFAX GUARANTEED ** OWNER'S MANUAL ** 1 MONTH/1,000 MILE WARRANTY ** Sport Appearance Package - Gray Exterior with White Racing Stripes + Rear Spoiler with a Gray Interior ** Interior Ambient Lighting, PREMIUM Shaker Sound System with 6-Disc In-Dash CD Changer, MP3, Satellite Radio, Power Driver's Seat with Power Lumbar Support, 16" Alloy Wheels ** V6, 4.0 Liter Engine, Automatic Transmission, Cruise Control, Tilt Wheel, Power Locks, Power Windows, and more! 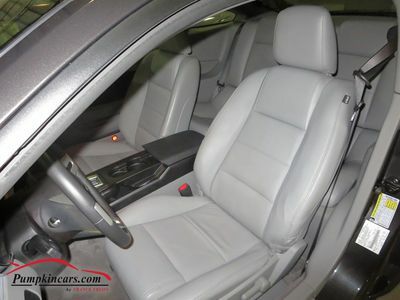 ** Visit us and test drive this pristine car today.